I’ve been watching a lot of “InuYasha” lately and it has got me thinking alot about drawing and learning Japanese again. Mostly the former; I think the latter is a project best left as a reward after I send Damen off for rejections letters. My father is an artist and it’s long since irritated me that I haven’t inherited too much of his talent in the visual arts. I have tried to play this off by saying that I am a literary “artist,” but when I struggle to do something as simple as draw a face or eyes, I feel like a total failure. Anyhoo…early this morning, I was bit by the drawing bug while “InuYasha” was playing in the background and put cheap pencil to paper. I started, like my protagonist, by drawing an eye. I’m not entirely sure whose eye this is since I’ve not moved onto colour yet, but I’d like to call it “Jessie Eye” since it looks really striking. From “Jessie Eye,” I did some searching on drawing tutorials, etc. 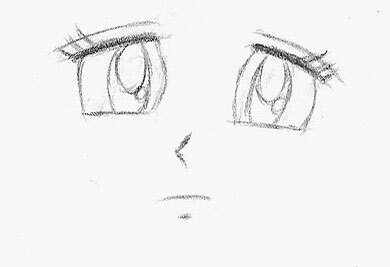 and had the strong desire to draw a manga face, particularly Kagome from “InuYasha.” I know I didn’t really capture her and, honestly, there’s no way to tell who it is since most manga/anime characters look identical, so I call this one “Manga Face” for now. Needless to say, I gave up on writing for the rest of the night around 3:30am, but later in the day, I DID manage to write another 128 words in Damen (meanwhile the anthology’s still being well-received), which is a bonus either way. I didn’t get anything written today; I blame my first job. Anyway…photo finish on this post! I saw “part 1” because I know this is just one many, many future posts that will feature procrastination. It’s now been eight full days since I’ve written any part of Damen. This happens every time I finish a chapter or a major scene and this little cycle is getting a little boring. I know if I just sit down and start writing I’ll be able to just finish the rest of the notes, but I just can’t make myself write Damen. It’s not even that I can’t bring myself to write at all. 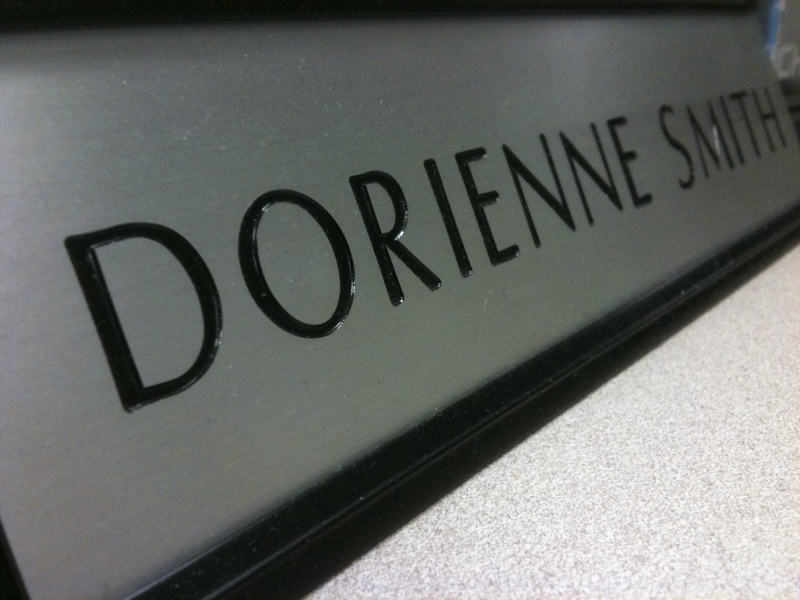 After all, I’m writing this, I just can’t make myself write Damen. I’ve even taken to creating Edition 3 of Flight just to take the edge off. I know I want and need to write especially since it’s halfway through August and I’m still working on the notes, but it’s the same level of procrastination that kept me from studying for my O-Chem exams until the very last minute that’s plaguing me right now. I blame some of this my cycle and the fact that I normally can’t write if the house is a mess, which it is, but I’m rather alarmed at how I’ve not yet figured out how to shake this procrastination. I know everyone deals with it on one level or another, but I’m almost 25 and I still haven’t made any progress with it. The worst part about it is that it almost seems productive. Writing a blog post feels like it’s productive, but since my main only goal for my birthday this year is to get the novel done, any time I’m not writing Damen, I’m procrastinating. That includes working OT, reading, reading books I’ve already read, editing books I’ve already written, cleaning, DDR, eating, sleeping and I’d like to say even going to church, but I’d rather not be smote before I get the book done. I’ve been feeling rather creative lately, but just not towards Damen. I want to edit Flight and focus Edition 3 on craft and perspective. 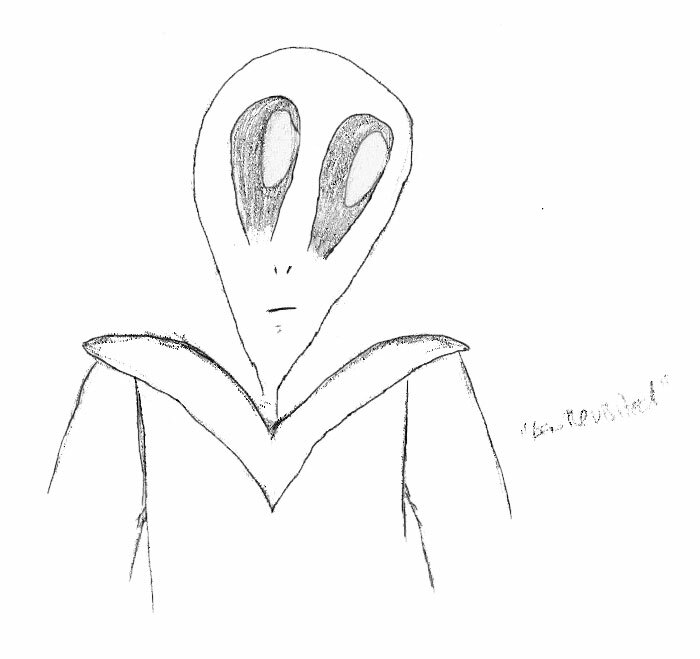 I want to create my webcomic Little Green Men. I even wrote a few notes on a storyline for “LGM” and have been trying to draw more, even though drawing is not my forte regardless of the genes handed down from my father. I just keep finding new and genuine ways of procrastinating.